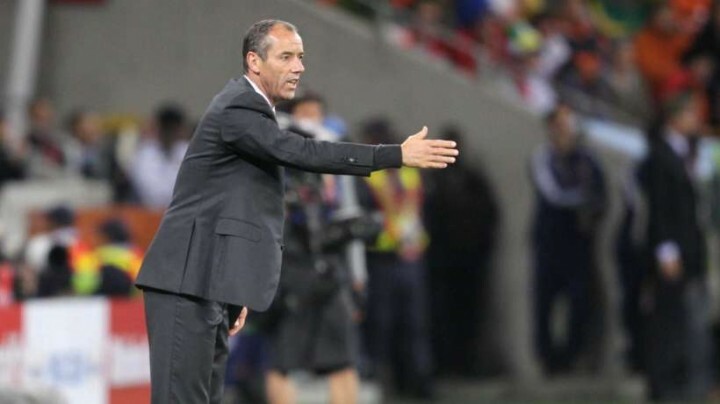 An official at Nigeria Football Federation(NFF) disclosed that the glass house is now set to appoint Paul Le Guen as the coach of the Super Eagles. He seemed to have impressed the technical unit of NFF the most. Belgian coach, Tom Saintfiet, who was one of the final three shortlisted coaches for the Super Eagles job, got a job confirmation elsewhere, thereby removing him for possible appointment, leaving Salisu Yusuf and Paul Le Guen for the position. The Frenchman’s asking price: ₦16.2m monthly Salary. 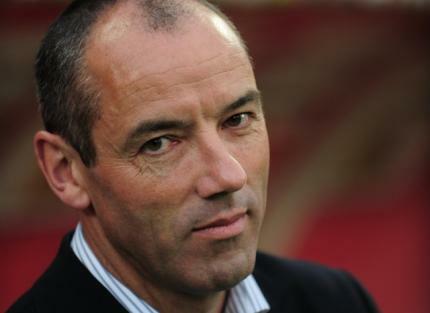 Paul Le Guen (French pronunciation: ​[pɔl lə ɡwɛn] ], born 1 March 1964) is a French football manager and a former player. His last role was as manager of the Oman national football team, from which he was relieved in November 2015. During his playing career he enjoyed successful stays with FC Nantes and PSG and won 17 caps for the French national team. During his playing career, Le Guen played at Stade Brest for six years, Nantes Atlantique for two years, before leaving Brittany for Paris St. Germain where he played for seven years (with 478 appearances and a Cup Winners’ Cup medal in 1996). At international level he played 17 times for France due to injuries and he was part of the team which lost out on a trip to the World Cup in 1994, along with Eric Cantona and David Ginola. He ended his playing career by taking part in a friendly where his home region of Brittany faced Cameroon on 21 May 1998. The match finished 1–1. Le Guen had a successful managerial career in France, most notably leading Olympique Lyonnais to three consecutive Ligue 1 titles. He has also managed Stade Rennais, Paris Saint-Germain, Glasgow Rangers and the Cameroon national team. During his time at Rennes between 1998 and 2001, Le Guen was noted for signing then unknown players, such as Shabani Nonda and El Hadji Diouf, who under his guidance, developed into talented footballers. He resigned from Rennes in 2001 after a fall-out with the club’s board. This led to him taking a year off from football. Le Guen replaced Jacques Santini as manager of Olympique Lyonnais in 2002 after they captured their first league title. Le Guen experienced a grim start to his managerial career at Lyon, winning only 3 games of the first 9, but eventually took Lyon to a further three consecutive championships and reached the UEFA Champions League quarter-final. He resigned from his position at Lyon on 9 May 2005, the day after the club won their fourth consecutive Ligue 1 championship. He was replaced by Gérard Houllier. After leaving the club, Le Guen embarked upon another year away from football management. During this time he turned down management positions at several top European clubs including Benfica and Lazio and also stated that he would not return to manage his former club PSG. On 11 March 2006, it was confirmed that Paul Le Guen had agreed to replace Alex McLeish as manager of Rangers starting in the 2006–07 season. Le Guen signed a three-year contract with the option to extend his stay at Ibrox, and quickly acquired a number of players. However, Le Guen made a poor start to his Ibrox career. His record across his first ten league games was the worst start to a season by an Old Firm debutant since John Greig’s team won only two, drew six and lost two of their opening ten games in 1978–79. On 8 November, Rangers were knocked out of the Scottish League Cup at the quarter-final stage by First Division side St Johnstone. The result, the first time Rangers had been knocked out of a cup tournament by a lower league side at home,prompted protests outside Ibrox and demands for the situation to improve. On 1 January 2007, Rangers announced that Le Guen had stripped Barry Ferguson of his captaincy of the club and dropped him from the squad for a match the following day. BBC Sport reported that Ferguson would not play for Rangers again under Le Guen. Murray announced on 4 January 2007 that Paul Le Guen had left Rangers by mutual consent. This made him the club’s shortest-serving manager, and the only one to leave the club without completing a full season in charge. Le Guen’s European record with Rangers has been described as being ‘excellent’ after remaining unbeaten in the UEFA Cup and finishing at the top of their group. Although it was the poor domestic results that ultimately led to his departure. It was announced on 15 January 2007 that Le Guen would return to the club he once skippered as a player as first team coach replacing Guy Lacombe at Paris Saint Germain. When he arrived, PSG were lying 17th in Ligue 1 but he led them to safety in his first season finishing 15th. As the 2007–08 season in Ligue 1 unfolded, it was clear that Le Guen was getting inconsistent performances from the crop of players, as the club was in the relegation zone with four games in the league season remaining, while winning the Coupe de la Ligue and qualifying for the final of the Coupe de France. Winning the Coupe de la Ligue guaranteed PSG a place in the UEFA Cup for the 2008–09 season. PSG announced in May 2009 that Paul Le Guen would not be offered a new contract and would leave at the end of the 2008–09 season. Le Guen was named Cameroon national football team manager in July 2009, signing a five-month contract. He made an immediate impact by leading the team to qualification for the 2010 World Cup in South Africa. He also stripped veteran defender Rigobert Song of the captaincy and appointed Samuel Eto’o as the new captain. Both players responded well to the change with Eto’o getting goals, and Song winning back his starting spot as the Lions qualified for the finals. However Cameroon were the first team officially knocked out of the 2010 World Cup. He announced his resignation on 24 June 2010. Towards the end of the 2010–11 season, Le Guen claimed he had received job offers from several Ligue 1 clubs, but he turned them all down. He eventually accepted an offer from Oman national football team on 11 June 2011. He led Oman to qualification for the 2015 AFC Asian Cup, where they were absent in 2011. Oman were eliminated in the group stage of the tournament with one win and two losses. He was sacked on 19 November 2015 after a poor start of the 2018 FIFA World Cup qualification campaign.